Flipping knives isn’t something most people want to try, but with Flippy Knife from Beresnev you can do it from the safety of your mobile device. 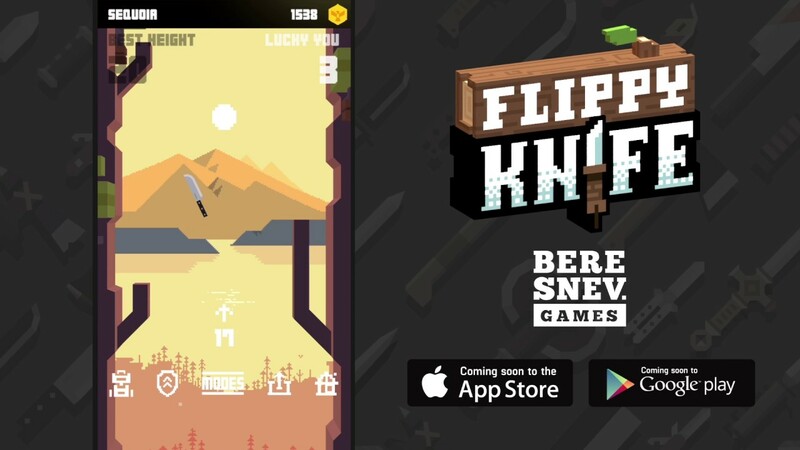 Flippy Knife consists of various mini games, but the objective is the same, flip knives and get the high score. While it might seem tedious, the game’s actually fun. The games have unique objectives: in one of the games you have hurl the knife from one surface to another while navigating a room. Another mini game has you flipping the knife at the wall, climbing up the walls to get the treasure. There is also a mini game called Target where you flick a knife in an attempt to hit a moving target. Since it’s a moving target you’ll need to flip that knife at the right time. There’s also another game where where you throw the knife up and try to have it fall on the wood below. The more rotations and flips, the higher your score will be. There are different knives used in the game: some Are heavy and need more force to throw, but have greater impact on the target. Others are lighter, less powerful but can travel farther. You need to take that into consideration when you’re playing the game as it makes a difference. The premise behind these mini games are simple and easy enough for anyone to get into. There are games here if you prefer casual play, while the other games are more involved. Whatever your inclination, there is one in Flippy Knife for you.